The Whey Protein Multitasker is a protein boost, with added essential nutrients to leave you feeling your best both inside and out. Formulated for women who exercise, this all natural blend is lower in calories and sugars. Add level scoop to 300ml of a liquid of your choice (we recommend almond milk). Shake & enjoy. Ideal for post-sweat, with breakfast or as a snack. Can also be used in baking. 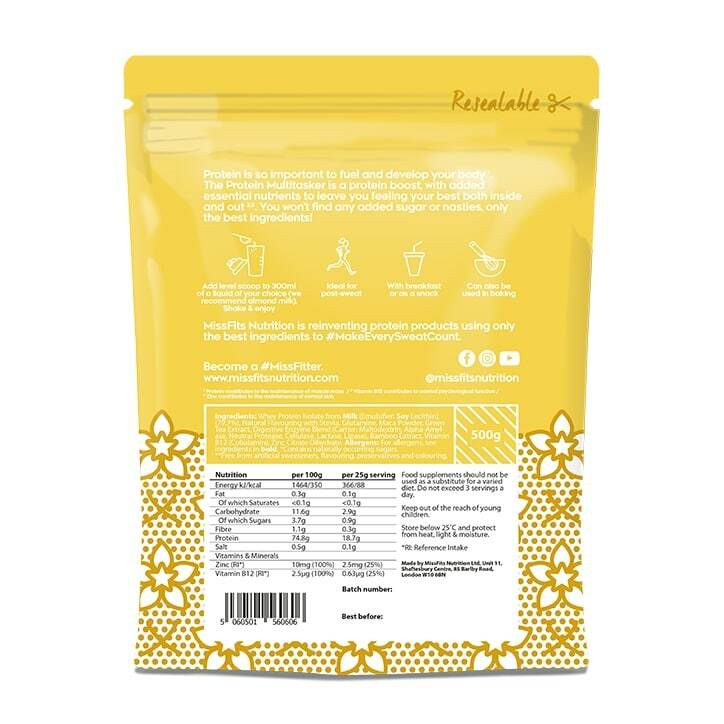 Whey Protein Isolate from Milk [Emulsifier: Soy Lecithin] (79.7%), Natural Flavouring with Stevia, Glutamine, Maca Powder, Green Tea Extract, Digestive Enzyme Blend (Carrier: Maltodextrin, Alpha-Amylase, Neutral Protease, Cellulase, Lactase, Lipase), Bamboo Extract, Vitamin B12 (Cobalamin), Zinc Citrate Dihydrate. 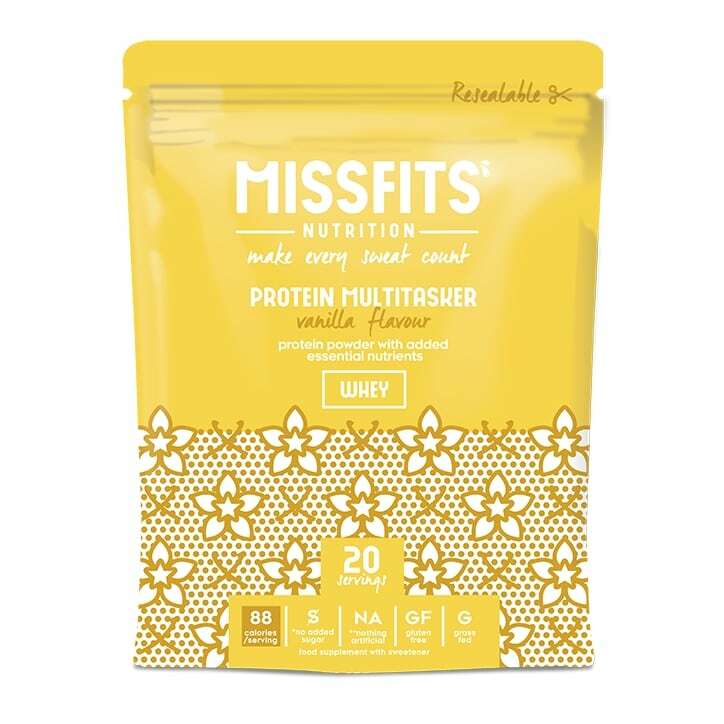 Missfits Whey Protein Multitasker Vanilla is rated 5.0 out of 5 by 1. Rated 5 out of 5 by Tamsin101 from Tastes like ice cream Bought this in store. Tastes amazing and the sugar content is so low. Doesn't leave me feeling bloated!